The story this week is by Kenji Jasper from DC Noir, published by Akashic. Mystery sensation Pelecanos pens the lead story and edits this groundbreaking collection of stories detailing the seedy underside of the nation’s capital. This is not an anthology of ill-conceived and inauthentic political thrillers. Instead, in D.C. Noir, pimps, whores, gangsters, and con-men run rampant in zones of this city that most never hear about. This week’s story is from Cape Cod Noir edited by David L. Ulin, published by Akashic. Malice and mayhem simmer beneath the surface of one of America’s favorite vacation areas. Los Angeles Times book critic David L. Ulin has been vacationing in Cape Cod every summer since he was a boy. He knows the terrain inside and out; enough to identify the squalid underbelly of this allegedly idyllic location. His editing prowess is a perfect match for this fine volume. 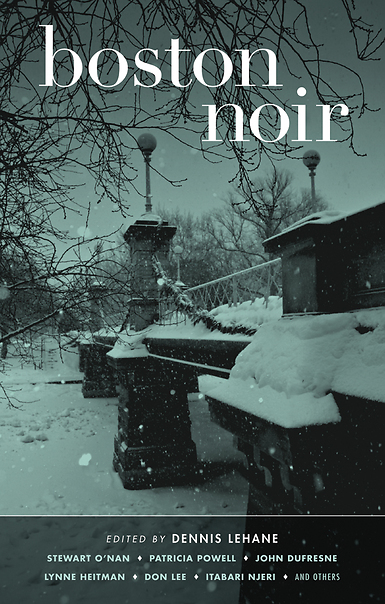 This week’s story comes from Brooklyn Noir, edited by Tim McLoughlin and published by Akashic. New York’s punchiest borough asserts its criminal legacy with all new stories from a magnificent set of today’s best writers. Brooklyn Noir moves from Coney Island to Bedford-Stuyvesant to Bay Ridge to Red Hook to Bushwick to Sheepshead Bay to Park Slope and far deeper, into the heart of Brooklyn’s historical and criminal largesse, with all of its dark splendor. Each contributor presents a brand new story set in a distinct neighborhood. This week’s story comes from Long Island Noir, by Kaylie Jones, published by Akashic Books. Stories covering Long Island’s extremes, from the comfortably rich, to the horribly poor, and all darkness between. Akashic’s Long Island volume in its regional noir series offers an eclectic and effective mix of seasoned pros (Reed Farrel Coleman, Tim McLoughlin, Sarah Weinman) and new voices (Qanta Ahmed, JZ Holden, Amani Scipio). The 17 contributors portray a wonderful diversity of people driven to extremes.